It’s Wednesday morning at Knight Kiplinger’s downtown office, and he’s in the middle of packing up his things. Kiplinger Washington Editors, where he’s long been the editor in chief, was recently sold to London-based Dennis Publishing. 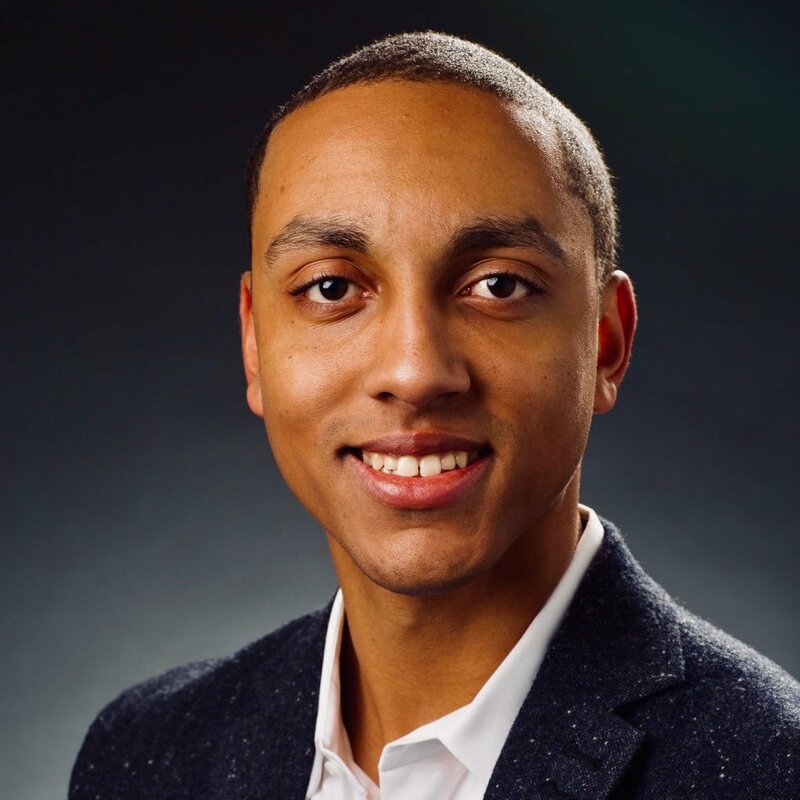 Knight is now focusing on real estate, he says, while loosely remaining involved in the company his grandfather started in 1920 (Kiplinger will be advising the company as an “editorial emeritus”). But he’s most excited to talk about the new DC History Center, opening at the renovated Carnegie Library in Mount Vernon Square this spring. 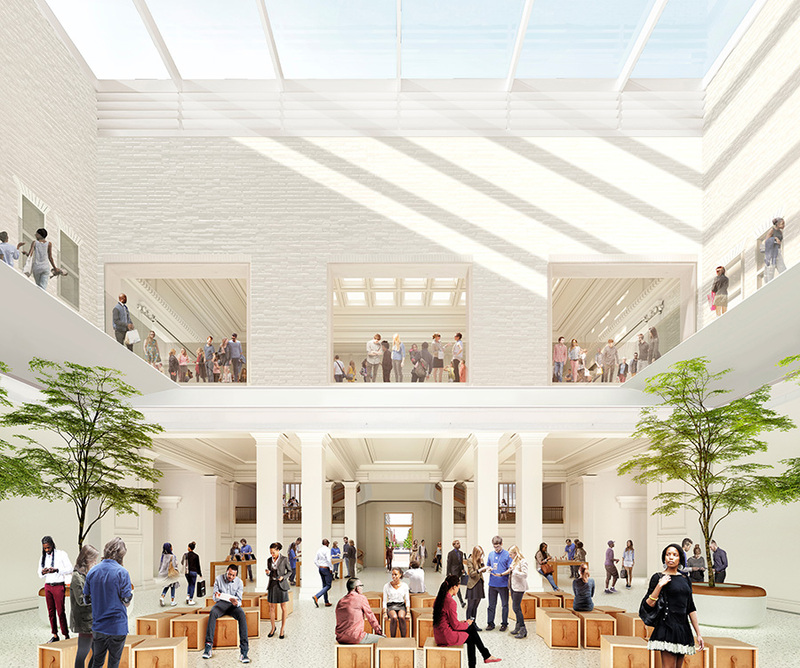 The center—which will share the space with a new Apple store—boasts three exhibit galleries, the Historical Society’s artifacts and other holdings, and the Kiplinger family’s collection of over 4,000 pieces of Washingtoniana. The Kiplinger collection has been on loan to the Historical Society since 2011, but the deed of gift was officially handed over in February. The collection includes items like an 1884 map of Washington that shows original 1792 property lines and photos of DC neighborhoods in the 1950s. On the second floor, a renovated Kiplinger Research Library will continue to be used as a resource for scholars and historians. A rendering of the atrium in the DC History Center. 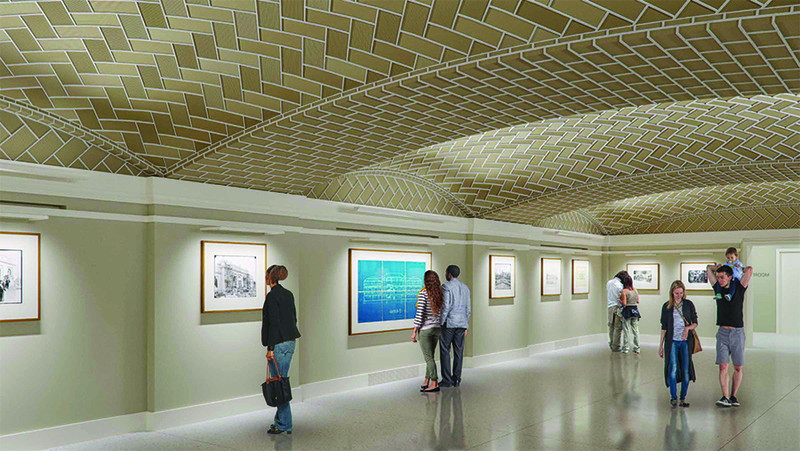 Images courtesy of Foster+Partners Ltd. A rendering of the Guastavino ceiling on the lower level. The opening exhibit, “The Big Picture,” will feature five blown-up black and white photos of Washington life in the last century, 40-by-ten-feet depictions of life across the city. One such photo depicts of a group of women who flew from Philadelphia to Washington in 1931, with Amelia Earhart in the front row. Meanwhile, Apple plans to continue its mission of creating experiences, not just stores, with events, exhibits, and educational programs when it opens in the atrium. While the Historical Society can’t disclose the exact date of the reopening (Apple has a tendency to announce its store openings only a week or two beforehand), you can expect inaugural events to happen this spring. John Suau, the Historical Society’s executive director, says the library has a history of being inclusive and incorporating the whole city. Dedicated by Theodore Roosevelt and philanthropist Andrew Carnegie in 1903, the library was the first desegregated public building in the District.